Migraines are a set of conditions which cause severe pain in the head cavity. They are different from a headache, namely that they cause very severe pain and can present other symptoms such as blurry vision and nausea. Migraines can affect any person of any age and they are fairly common. Luckily, there are products which can help to manage the onset and occurrence of migraines. 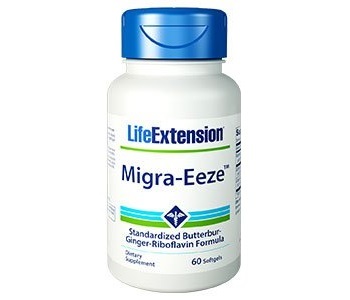 In this review, we look at Life Extension Migra-Eeze, which is a supplement that is designed to manage the occurrence of migraines. The primary ingredient in this supplement is butterbur extract from the plant Petasites hybridus. Butterbur has been clinically proven to reduce inflammation, reduce spasms and cause smooth muscle relaxation. It contains a substance called petasin which acts on an inflammatory enzyme called lipoxygenase and thus reduces the production of compounds which usually cause inflammation. Another important ingredient in this supplement is ginger extract. Ginger extract binds to serotonin receptors, which reduces pain. It also has anti-nausea effects, which helps when nausea accompanies migraines. Riboflavin is also present in this product. Riboflavin helps the cells in the brain to generate energy by acting on the mitochondria (energy producing systems) of these cells. This also helps to generate oxygen in the brain. 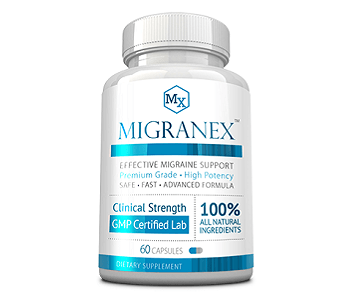 There are a few other substances often used for the treatment of migraines which this supplement lacks. Supplements for the management of migraines should contain a variety of concentrated vitamins and minerals because migraines often result from a deficiency of these substances. This supplement also lacks sufficient antioxidant substances. Antioxidants reduce the levels of free oxygen radicals which are produced by normals cellular metabolism. When these free radicals build up otherwise, they can cause tissue damage and inflammation, which can lead to migraines. Two softgel capsules can be taken daily at different times (we suggest one in the morning and the other in the evening) with or without food. THe dosage can be reduced to 1 softgel capsule daily after four to six months of use. Anyone undergoing long term medical treatment, pregnant or breastfeeding women should consult a healthcare professional before the use of this product. One package of 30 capsules can be bought for $22.28. Thus a month’s supply will cost $44.56. Life Extension offers a discount for buying 4 packages together. Four packages bought simultaneously will cost $79.20, which results in a saving of $9.92. Despite extensive research, we could not find evidence of a guarantee for this product. Nonetheless, there are mostly positive customer reviews for this supplement. Life Extension Migra-Eeze contains a few promising ingredients, which have been scientifically tested. This product does however lack a few key ingredients, which could help decrease the onset of migraines. The directions for use provided for this supplement are comprehensive and the supplement is offered at a reasonable price. The customer reviews for this product are mostly positive too. There is still a risk associated with the purchase of this product though, because it appears the manufacturer does not offer a guarantee.